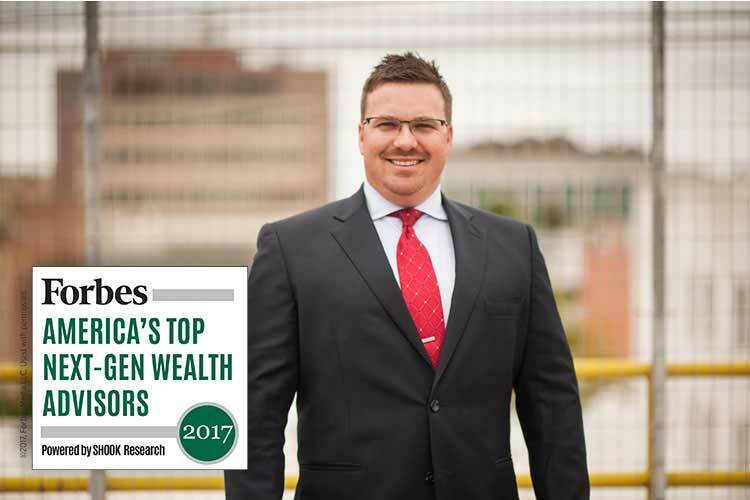 Gabe E. Lapito, MBA, CPA/ PFS,CFP®, AIF, and Owner/Financial Advisor of Strategic Retirement Plans, has been named to Forbes’ Top 500 Next Generation Wealth Advisors list. The inaugural list, published on Forbes.com, recognizes wealth advisors born in or after 1980. Lapito is the only advisor in Montana and Wyoming to be named to the list, and was chosen from over 19,600 nominations. Forbes completed over 4,200 phone interviews and 890 in-person interviews before selecting the recipients of this prestigious award. Just 10% of financial advisors are under the age of 35 according to Forbes. As nearly 40% of older financial advisors anticipate retiring within the next decade, this next generation of advisors will play a pivotal role in the industry. SRP has been providing financial guidance since 1996. SRP prides itself on crafting unique strategies for each client. It has offices located at 208 North Broadway, Suite 450 in Billings, Montana and 405 West Boxelder, Suite C-9 in Gillette, Wyoming. For more information, please visit www.lapitoretirement.com. Securities and advisory services offered through Commonwealth Financial Network®. Member FINRA, SIPC, a Registered Investment Adviser. The 2017 ranking of Forbes’ Top 500 Next Generation Wealth Advisors1 recognizes advisors born in 1980 or later with a minimum of four years of experience. Advisors were rated based on a proprietary algorithm of qualitative and quantitative criteria: assets under management, revenues generated for their firms, client retention, industry experience, credentials, and compliance records. SHOOK Research also employs an opinion-based weighting system that prioritizes its preferred “best practices,” which include business models, activities, processes, and structure. Overall, 2,356 advisors were considered, and 500 (21 percent of candidates) were recognized. Click here for the full methodology2 that Forbes developed in partnership with SHOOK Research. 1 This recognition and the due-diligence process conducted are not indicative of the advisor’s future performance. Your experience may vary. You are encouraged to conduct your own research to determine if the advisor is right for you. 2 Portfolio performance is not a criterion due to varying client objectives and lack of audited data. SHOOK does not receive a fee in exchange for rankings.